I struggled with this idea at first, of how to write the blog , should I just write about the voyage, or should it be a travel piece and an expose on Croatia. What I most want is to tell a story, so thats what I have decided to do. This story will be of the Watermelon Voyage. In order to best describe this, I will need to go back a few years and relate my first experience sailing with the kids from Maestral. In 2010, I worked with Professor Josko Bozanic, Outward Bound Croatia, Spliska Banka, and the Slobodna Dalmacija newspaper to plan a trip with students for Maestral to participate in the race to Palagruza. Some people have heard this story before, about the race that had not been run in 85 years and how we, a crew from the home, on a boat built in 1885, managed to sail this route. It was spectacular! 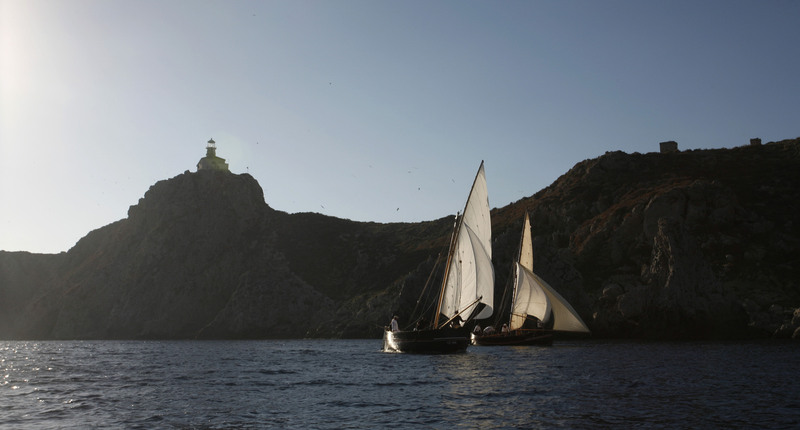 The race was 5 days long and started in the island Hvar and sailed to the outermost island on the adriatic, Palagruza. The regatta tested all the students skill and perseverance, from seasickness to fatigue with long nights planning and long days keeping the good Slobodna Dalmacija together. Highlights; We won the second leg Vis~Komiza in the Leut Class after rowing for 5 hours and oars that are 5 meters long in confused seas off the north coast of Vis. There are many stories to tell about this trip with the students of Maestral that would take several pages of text but one thing’s for sure, the trip was a success! For me it was a learning experience, American captain, Croatian boat and all the intricacies of the lateen rig, in high winds and brutal seas, but most importantly the friendships and the bonds that were made because of this trip. I learned a lot from this crew as they did from me. I know the students who came on this voyage will remember it for the rest of their lives. The idea of place as an area with deep meaning is easy to understand when we think of the word “home.” It comes with much more than just four walls and a roof. This word has emotion and ties to form and memory not only personal memory but of all those who have come before. Like home, Palagruza is steeped with history as rugged as its cliffs and imposing profile. For me and the students, Palagruza stands not only for the hundreds of year of history, geography, weather, life and lore but also for the experience of the regatta. For the students, this “place” came with so much triumph that it created new identity though the endeavour. Five days on the boat turned in to changes in attitude, posture, and being. Now, when I think of Palagruza I feel that as a part of me, and I know the students do as well. Tuan, Y. F. (1975). Place: An experiential perspective. Geographical Review, 151-165.